The Road Haulage Association (RHA) represents haulage companies throughout the UK and is the only UK governing body which represents companies move goods by road. 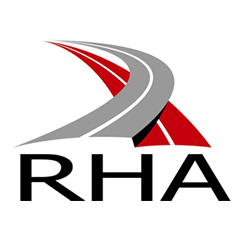 PC Howard Ltd is a longstanding member of the RHA (Road Haulage Association). We take advantage of the RHA’s expertise to refine our business practices to ensure that we work efficiently and to the latest regulatory measures. With over 6,500 members, the association plays a leading role in ensuring that hauliers complaint in every aspect of their operations. From the latest legal advice to the provision of haulage terms and conditions, the array of services on offer have been hugely beneficial to the day to day running of our business. The RHA also lobbies the Government on matters which affect our industry including fuel duty and the condition of our roads and motorway network. Our membership is set to continue for many years to come.